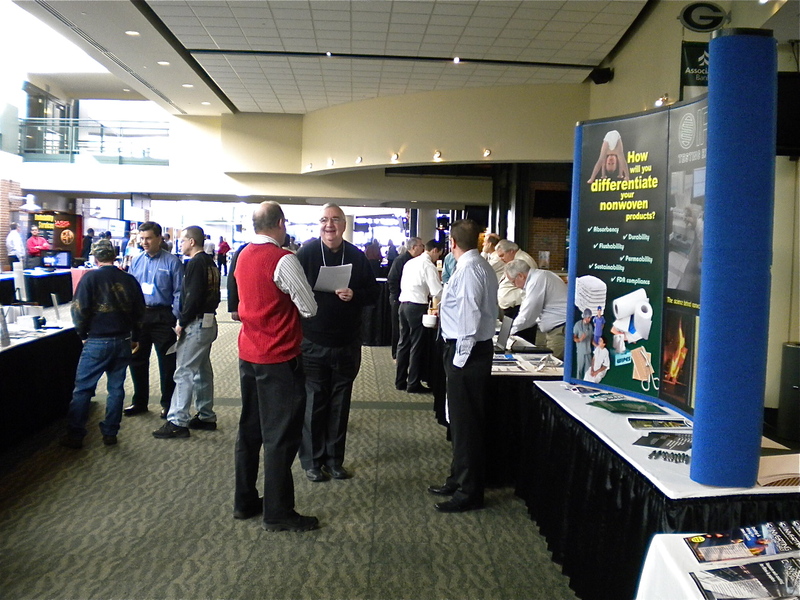 Fortuitously scheduled between snowstorms at Lambeau Atrium in Green Bay (WI), the 2013 edition of Converters Expo was a beneficial day of information gathering for attendees and exhibitors alike. 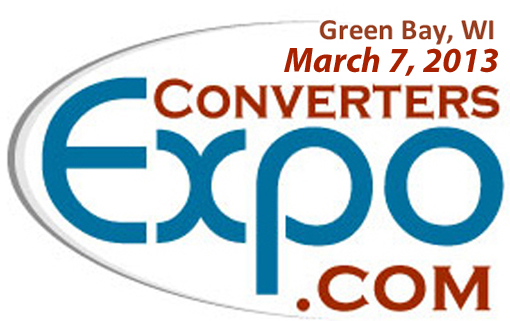 With nearly 100 suppliers on hand, displays covered paper, film and nonwovens materials; rewinding & sheeting equipment; coater/laminators & adhesives; flexographic printing presses, inks and plates; automation & machinery components/accessories; and contract-converting services. 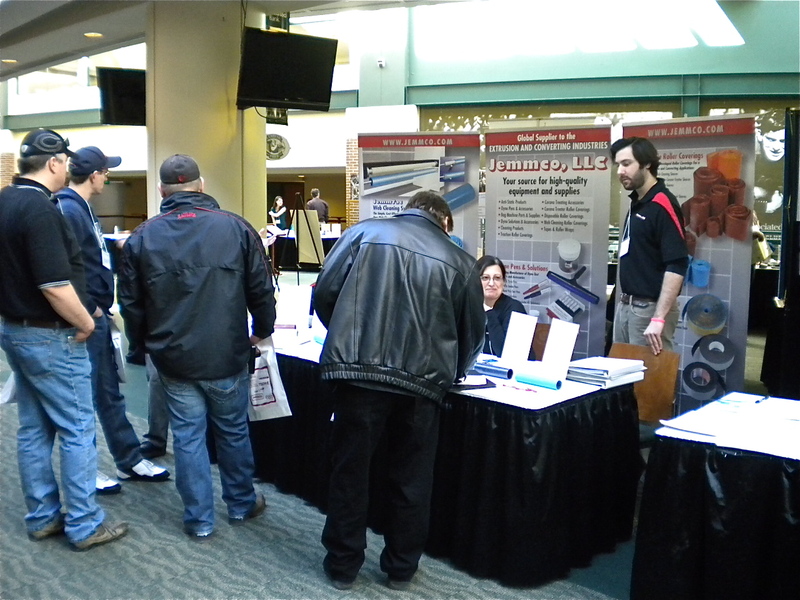 Attendance appeared to be down a little from previous years, but a steady stream of visitors kept us busy at the CONVERTING QUARTERLY booth. Traffic was busy right from the start on the Club Level of Lambeau Atrium. 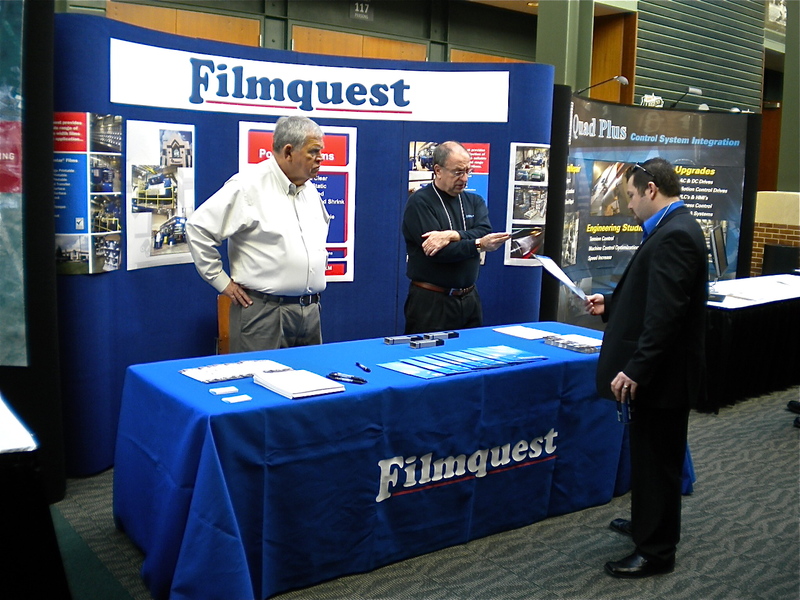 Filmquest, based in the Chicago area, offered details on its numerous polyester-film substrates for packaging, electrical, graphic-arts and other applications. Converting accessories and supplies provider Jemmco’s booth was mobbed during the opening hours of the show. Perhaps it was their wide range of roll coverings, dyne test products, cleaning supplies, static-elimination devices or laboratory equipment. 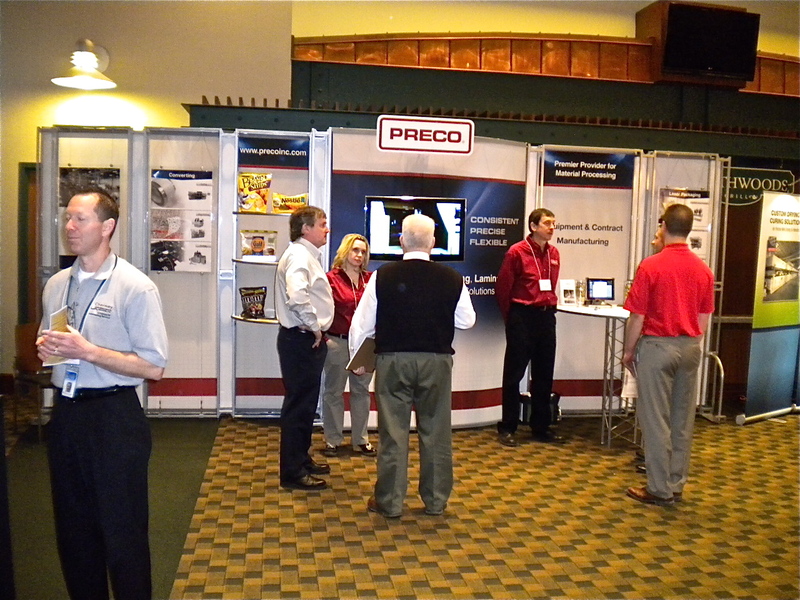 Preco’s double-wide exhibit displayed its expertise in both equipment and contract manufacturing via laser cutting, scoring, perforating, heat-treating and diecutting for flexible packaging, medical products, electronics and alternative-energy systems. 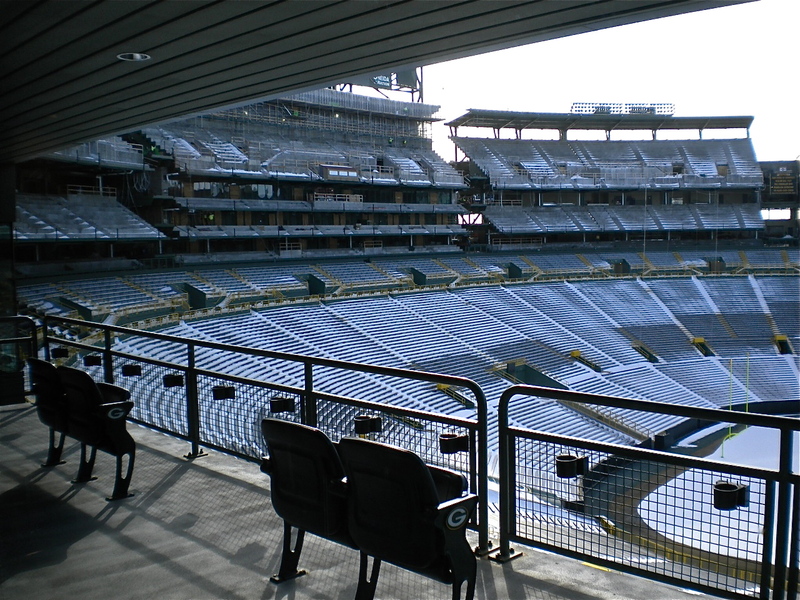 And in other news, 6,000+ seats will be installed in the new addition to Lambeau Field. Construction was progressing despite the 20-deg F temperatures. As an NFL owner (yes, I own exactly one share of the Green Bay Packers), I helped pay for those seats. 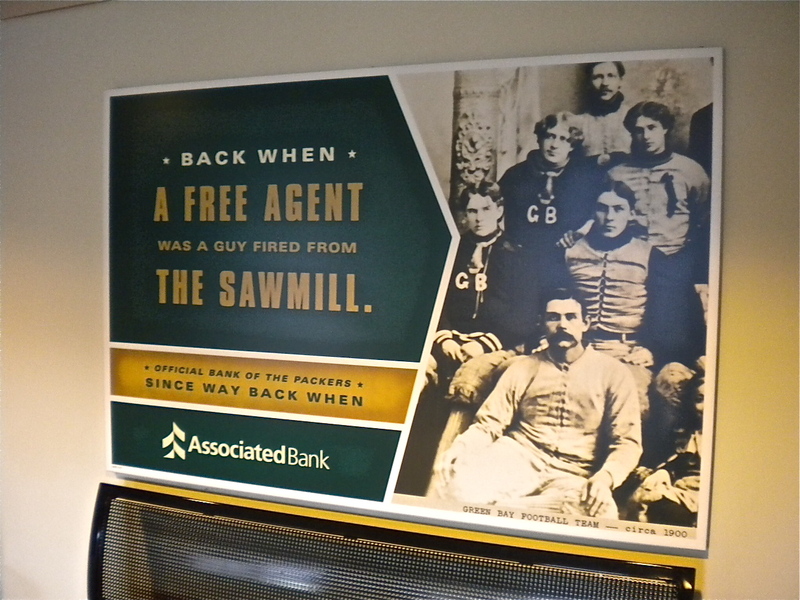 This poster of the “Green Bay Football Team – circa 1900” reminded me that my great-grandfather could have been a Packer. After all, he was a lumberjack, but unfortunately, he hailed from Minnesota. This entry was posted in coating/laminating, flexible packaging, package printing, paper/paperboard/cartons, slitting/rewinding and tagged business, converting, flexible packaging, flexography, green bay packers, manufacturing, packaging, paper, paperboard packaging, plastic film, printing, technology, tissue/towel. Bookmark the permalink.